The past couple of weekends I've actually been going out and doing fun things with friends. Since moving up to the northwest burbs and Kevin leaving the band things have been a little weird with friends. 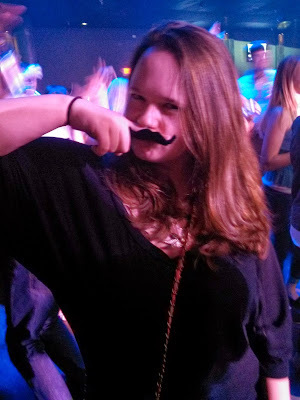 Last weekend I went out with my new Gamma Phi friend Nicole to see Stache at a local bar. I know right? Kevin leaves the band and they still can't get rid of me!! Now for the old part! We stayed out at the bar for the usual 2:30 ending time but instead of actually going to bed when I got home I stayed up and read for another half an hour. My brain was just like "YAY this is awesome people!!" and did not want to go to bed. Body was regretting brain's decision the next day, actually I think brain was too since the whole intelligent thought thing just didn't work that day. Thank goodness Kevin was gone cause he would have died laughing at my granny walk. Around comes this Friday, Kevin and I ended up meeting one of Kevin's cousins out in Crystal Lake. 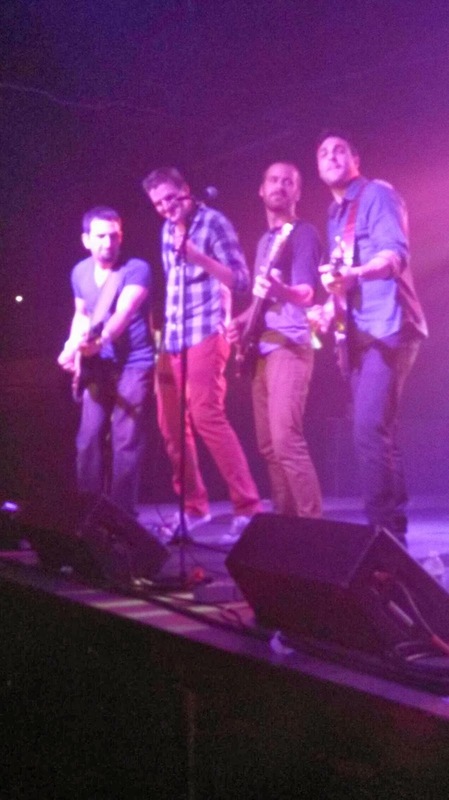 We went out to see John from IT's band and they were awesome. It might be my new favorite thing. 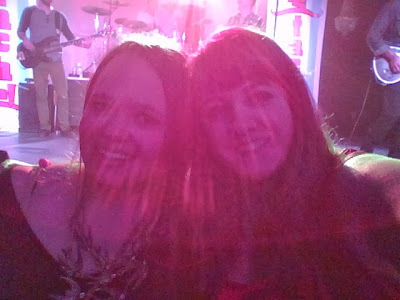 They play a bunch of different stuff from some fabulous oldies to 90's and tons in-between. Bonnie, Kevin's cousin, and I were dancing like craaaaaaazy. Kevin was being his usual anti-social self and just watching what the guys played and all that bass gear jazz. So that's my friend John. I swear during the day he does look normal and not so crazy eyes. I don't know what it is about guys and the need to make a ridiculous face as soon as they see a camera pointed at them. They call us ridiculous with our sorority girl arms, at least we look cute right?! This weekend I actually made it through Sunday without granny action but oh man this morning was death warmed over. One of my weekly goals was to walk up the stairs to the second floor when I head up to get the mail and it took me at least 5 minutes to do so this morning. It was not pretty haha. Because of the past two weekends I have learned that I'm either getting too old or that I need to keep my tolerance up and go rocking out more often! Stretch it out! And sleep in! haha love it. Wow I hope you are right and he keeps those crazy eyes at bay. I must be way older. If I had actually made it to the 2:30 show ending, I would have been completely sacked out before we even got home! Ah the joys of being a grown up. I'm not even 30 yet either!